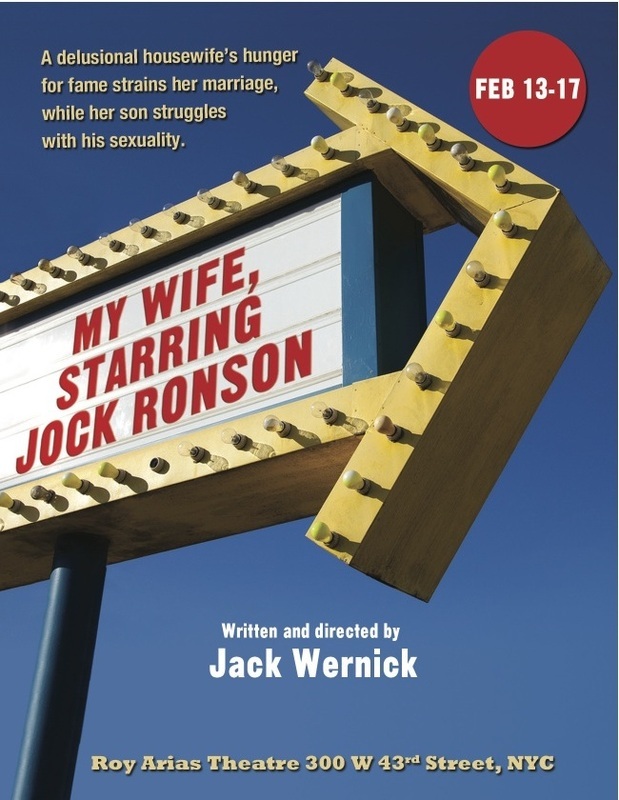 My Wife, Starring Jock Ronson was first presented at the Short Play Lab in December, 2012 at the Roy Arias Theater. Jack directed a cast featuring Maggie Ronck and Israel Morales. A revised, one-act version was presented at the Midwinter Madness Short Play Festival in New York in February, 2013. Jack directed a cast featuring Maggie Ronck and Pierre Gonzalez, with scenic and lighting design by Charles Moser.